Fintech Association of Japan (Minato City, Tokyo. 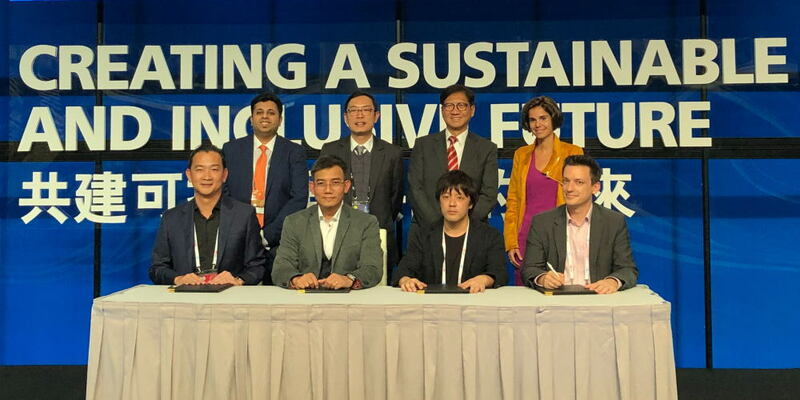 Representative Directors: Hiroki Maruyama / Yasuhiro Kimura / Natalie Shiori Fleming) have signed the Statement of Intent and the nine associations together launched “Asia-Pacific FinTech Network” at the Asian Financial Forum (AFF), an event held in Hong Kong, on Wednesday January 16, 2019. The aim of the network is to promote cross-border innovations and advancement of Fintech ecosystem through exchanging information and co-organizing events and seminars. Fintech Association of Japan will continue to work to develop a healthy industry, revitalize the Fintech ecosystem, and develop a strong presence in the international Fintech industry by exchanging information and cooperating with domestic, international and government organizations.